In the northern part of the state, Strawberry Reservoir in Wasatch County is widely recognized throughout the West as a premiere trophy rainbow and cutthroat trout fishery. Strawberry is best fished from a boat or personal pontoon, kayak, canoe or kickboat. This is big windy water, so a motor is recommended. At certain times of year, fish can be caught on the surface, but the most productive method of fishing here is trawling deep with a streamer. It’s up to the fisherman to figure out how deep! Strawberry has many public access points, boat ramps, a resort, some great campgrounds, and a Division of Wildlife Resources office on site along with a hatchery that is open to the public for tours. In the Fall, the Division holds the Kokanee Festival where we can witness the brilliant orange kokanee salmon moving up into the gravelly bottoms of the Strawberry River to spawn. Also in the northern part of the state, extending to the east from the Wasatch are the Uinta Mountains. There are literally hundreds of lakes in the Uintas, many of which are stocked. If you are a seeker of solitude, even in the middle of the crowded summer vacation months, the High Uinta Lakes are a likely spot for you. Just be sure you are prepared to take a walk at altitude. There are many lakes that are right on the scenic highway, some a short walk from the road, and others that are downright remote. The Uintas host many campgrounds and public facilities. All of the lakes on the south end of the Uintas can be fished from the bank or from a pontoon, kickboat, or canoe, but here, no motors are allowed. Two of the most widely renowned and easily accessed rivers in Utah flow out of the Uintas: the Weber River and the Provo River. The Weber is the smaller of the two. 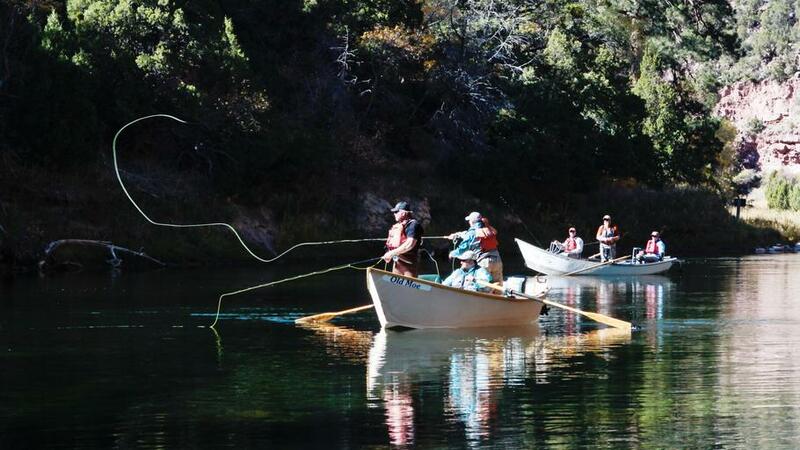 The most popular fly fishing stretch is between Rockport and Echo Reservoirs. The river is not all open to the public in this stretch, but there is good public access. 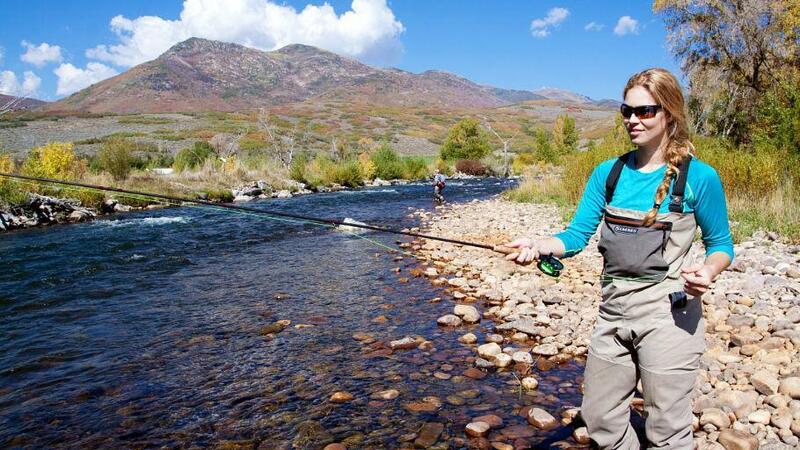 Check with a local fly shop to find out where best to access the river. The Provo River between Jordanelle and Deer Creek Reservoirs is the Sportsman’s Mitigation portion of the Central Utah Project. There is a corridor of 100 feet on both sides of the river that is now and will always be set aside as public land. And the corridor is used by many people for many reasons! Most of the folk you will meet are fly fishing. Some are “birding,” others are just out for a pleasant walk along the banks. 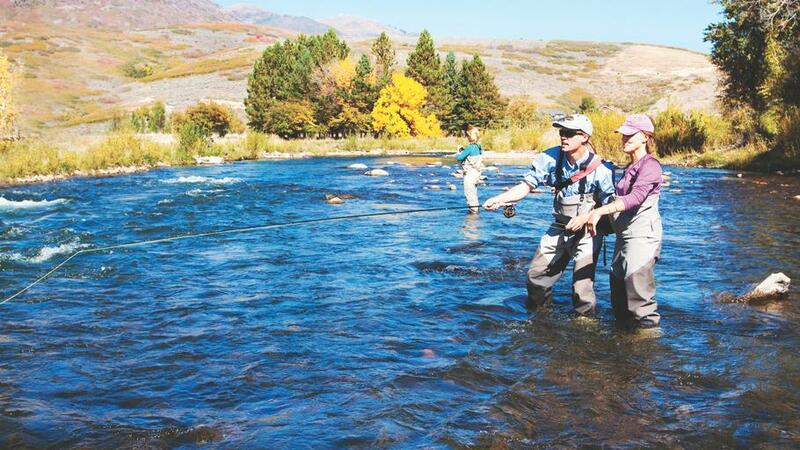 The Lower Provo (below Jordanelle) is also prime fishing water. At the farthest east end of the Uintas, is the fabled Green River. The Green originates north in the Wind River Mountains in Wyoming. 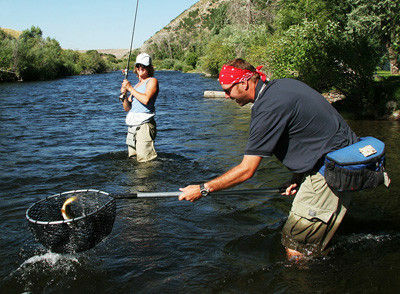 The river section that is most fished in Utah is the tailwater below the dam at Flaming Gorge. There are several fly shops there and some of the best fishing outfitters I have fished with over the years--head and shoulders above the rest!! The tailwater below the dam is broken into three sections, punctuated by ramp and road access. All three sections also have public walk/wade access points and trails but the most popular way to fish is from a drift boat. Check with one of the fly shops at the Gorge or Dutch John to determine when conditions are right for you. Conditions change, depending on power generation and other needs, but fishing usually remains good despite fluctuating water levels. Flaming Gorge Reservoir is home to trophy lake trout, brown and rainbow trout, carp, kokanee, burbot, and small mouth bass. At certain times of the year, some of these species can be fished from the banks. In general, however, a boat is recommended and there are some super guides for lake fishing as well. All of these fisheries and many more in other parts of the State are described in detail on line at the Utah Divison of Wildlife Resources Blue Ribbon Fisheries pages. Finally, for those who wish a less managed fishing experience, check out the Division’s Cutt Slam. There are 4 species of Cutthroat Trout that are wild and native to the State of Utah: Bonneville, Colorado River, Yellowstone, and Bear River. 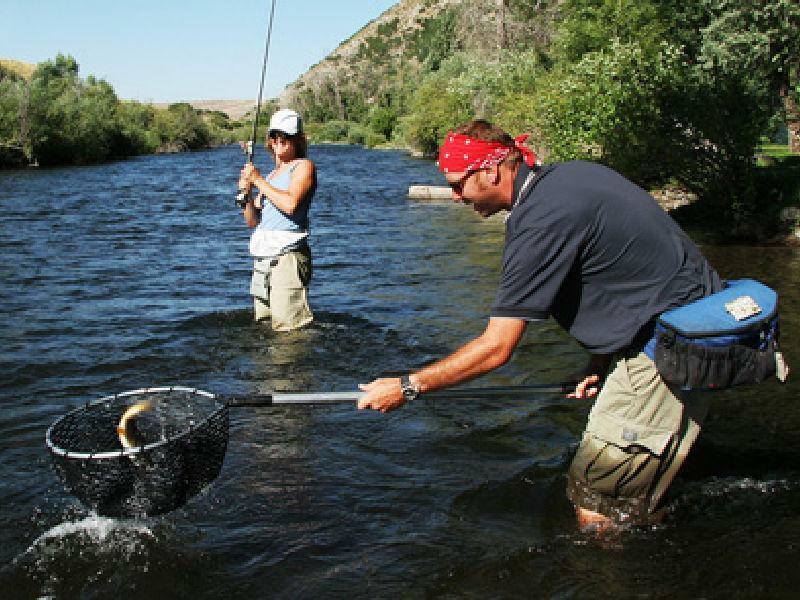 The cost to participate in the Cutt Slam is minimal, only $20, but the fun of it is travelling to the various locations in the state where the fish can be found. Your $20 will go toward restoring and increasing habitat for the native cutthroat. 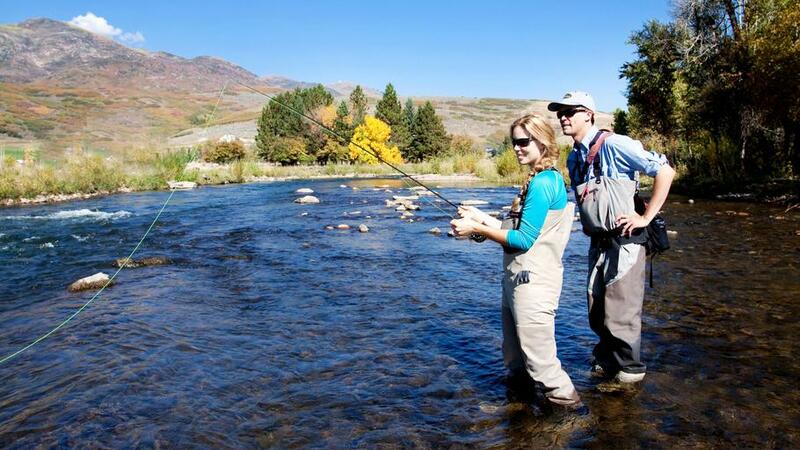 Check out the fishing regulations, fees, the Blue Ribbon Fisheries list, and the Cutt Slam program at https://wildlife.utah.gov.